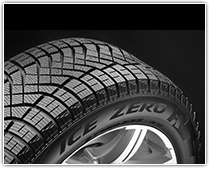 Pirelli strengthens its presence in the Nordic winter tyre segment thanks to the addition of the new ICE ZERO FR. Thanks to the tread design, structure and the new compounds, Pirelli offers to Scandinavian and Russian motorists, driving both in urban areas and on highways, the safety of a studded tyre, while eliminating its typical usage limits. 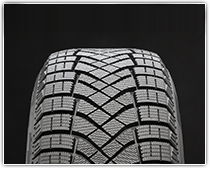 The market trends of the Nordic countries have in fact shown in recent years an increase in the sales of this type of studless tyre. The new ICE ZERO FR has been designed to ensure safety and grip on both wet and snowy surfaces, to maximize traction and braking on snow and to expel snow, guaranteeing excellent stability at high speeds on both wet and dry asphalt. The new product is available in 30 different sizes, from 14’’ to 19’’. Pirelli, making its European debut with this kind of application, also offers 4 sizes (two in 16’’, one in 17’’ and one in 18'') in Run Flat version. Pirelli's wide tyre range covers the needs of the vast majority of cars and SUVs currently on the market. The extension of the winter segment suitable for extreme weather conditions is part of Pirelli’s corporate strategy aiming at specializing the company's tyre range in order to better meet the different needs of its clients. In addition to strengthening its presence in the Nordic winter tyre segment, Pirelli is also the leader in Central Europe in terms of summer and winter tyres for the top end of the market.